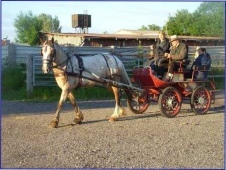 Our horses are experienced with a variety of different drivers and abilities, of all ages! 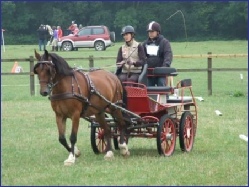 The same horses may be used for lessons, showing, competitions, weddings or social drives. They are all excellent in heavy traffic, well-schooled and polite - they can turn a hoof to most things. 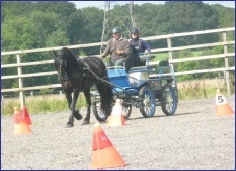 Our steadiest school masters will calmly amble around the fields enjoying the sunshine however they will perk up around the cones with a competitive driver at the reins! Lightfoot is a true schoolmaster, calm and steady. 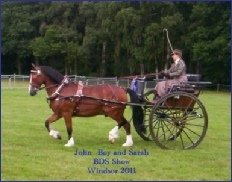 However being a well schooled horse, he can pick up and dance through the cones & obstacles with the best of them! Diesel came to us as youngster. It wasn't long before his handsome looks and sensible nature endeared him to everyone. He was quickly snapped up by one of our regular clients who keeps him at Grayswood.